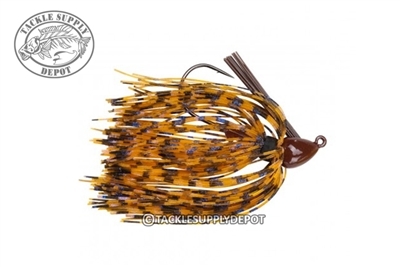 This little jig carries the attitude of the big boys. The Booyah Baby Boo Jig features a 60-strand ultra-fine Booyah silicone skirt, light weed guard and a Mustad Ultra Point black nickel light wire hook. Unlike its bigger brother the Booyah Baby Boo Jig does not come with a rattle which can make all the difference when fishing around heavily pressured fish and allows a stealthier presentation even with the most skittish fish. When looking for a quality finesse jig for triggering finicky fish to bite the Baby Boo Jig is ready for the job.